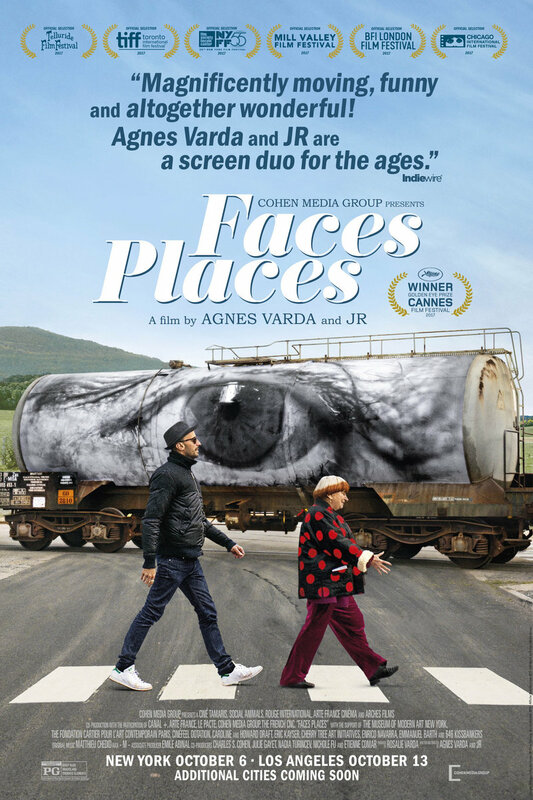 Faces Places DVD and Blu-ray release date was set for March 6, 2018 and available on Digital HD from Amazon Video and iTunes on February 27, 2018. Cinematographer Agnes and photographer JR travel the French countryside creating their unique art along the way. Their creative journey takes place in JR's minibus, which also doubles as the main camera for the film. JR transforms buildings into open air artworks along the way, as Agnes captures the couple's interactions with locals and each other on film daily. The relationship between the two artists becomes closer and more complex the longer they work together on the road, which is the main theme that holds together the various art installations and personal stories they collect as they travel.